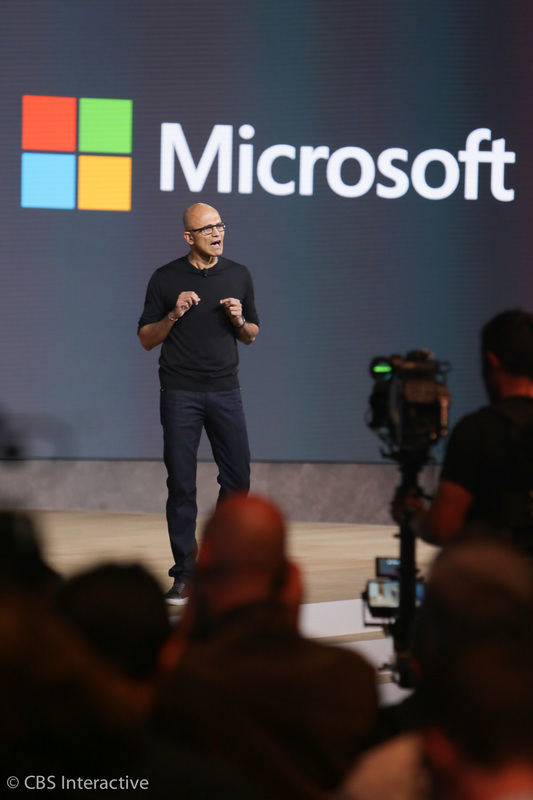 Building on the success of its recent Windows 10 launch, Microsoft is turning its focus to hardware at an October 6 press event in New York City. Next generation versions of the Surface tablet, Lumia phones and the Band fitness tracker are widely expected. He's here to wrap up the announcements: HoloLens update, a new Band, new phones, Surface Pro 4 and Surface Book. "We're making great progress towards our aspiration to move people to needing Windows to choosing Windows to loving Windows," he says. The Windows 10 ramp is by far the fastest we've ever had, he says. 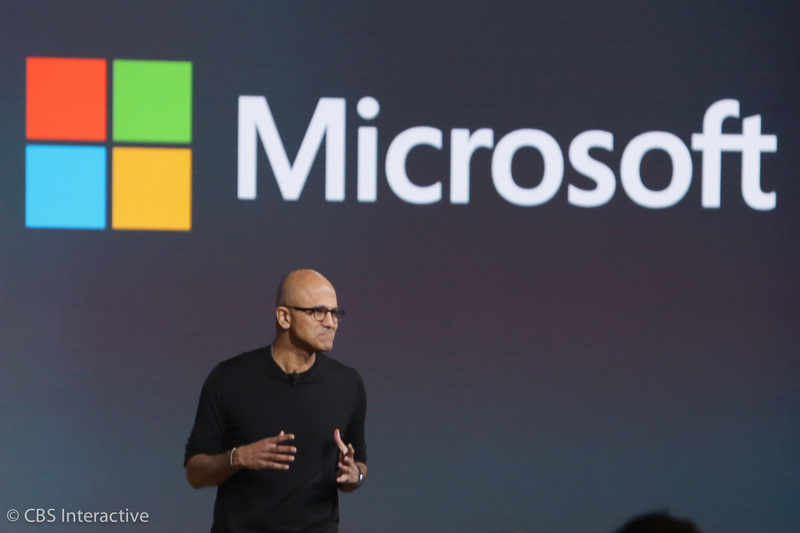 More and more people are coming home to Windows, he says. We begin a new chapter of Windows 10, he says. We built Windows 10 for a new era of more personal computing, he says. What matters is the mobility of the experience, not the mobility of the device, he says. Lots of stuff here. In retrospect, seems like new Band is a minor update compared to everything else. No single device will be a hub of activity forever, he says. The hub is you. Your settings, data and apps need to be mobile with you. Windows 10 is a major step forward in our ambition to create a more personal computing future, he says. The innovation today drives home the point of why we want to build our own devices, he says. 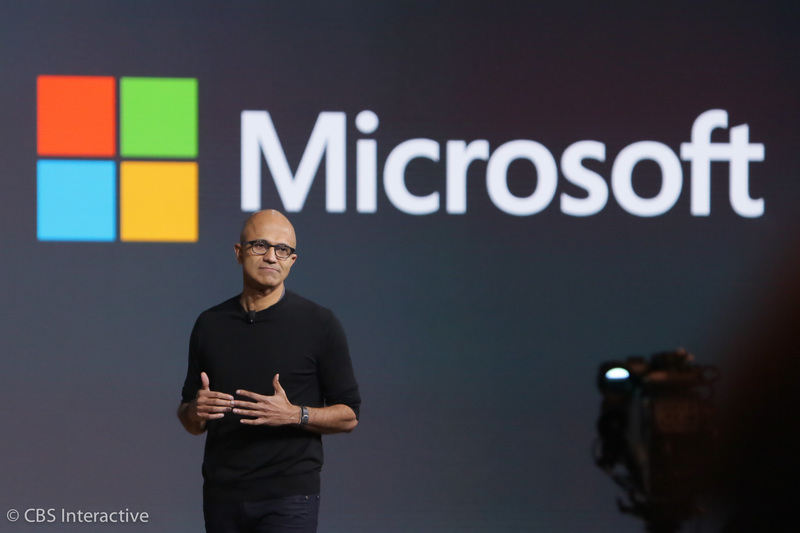 Microsoft is in the "experiences business," he says. When we envision the opportunity create a new category, we consider new forms and new functions simultaneously, he says. He calls the HoloLens a new paradigm for computing. Our band is both a sensor platform and a cloud service, he says. We're building the most productive phones on the planet, he says. The Lumia 950 and 950 XL are phones you can run your entire business on, he says. I know folks with iPhones who do the same thing already. Surface Book is a digital clipboard AND a powerful laptop, he says. Our mission at Microsoft is to empower every person and every organization on the planet to achieve more, he says. We make things that help you make things and make things happen, he says. And with that, Nadella wraps things up. The light dims (yet again). One more video! The bass is pumped up once again, FYI. So we got a few things we expected -- Band, Surface Pro 3, Lumia 950 and 950 XL -- and one surprise in the Surface Book. Almost done! Surface Book lingers in my mind the most. HoloLens price for devs...wow, that's high. New Microsoft Band...unclear how it's specifically better than old one, other than barometer and design/fit. And with that, Frank Shaw is back out to wrap things up. Looks like the show is over. A demo room is opening up to our left with the products. Stay with CNET for all the details on the new Microsoft product. Pretty great day if you're a Microsoft / Windows fan. Our team -- Scott, Jessica, Dan and Bridget -- will be getting hands-on time with the devices and offering videos. Thanks again for tuning into our live blog. Hopefully, you got a lot out of it. And with that, I've got to check out these products!